My Life....My Challenges...My Novels: Aimee & Sarah--Two Awesome Women who Make Dust! Aimee & Sarah--Two Awesome Women who Make Dust! In life so much comes so easily to so many in so many ways. Yet so many let so much get away as they never use what they have. So few rise above having so little in life or athletics and find so much within to excel light years above those with so much. Aimee Mullins first received worldwide media attention as an athlete. Born without fibulae in both legs, Aimee's medical prognosis was bleak; she would never walk and indeed would spend the rest of her life using a wheelchair. In an attempt for an outside chance at independent mobility, doctors amputated both her legs below the knee on her first birthday. The decision paid off. By age two, she had learned to walk on prosthetic legs, and spent her childhood doing the usual athletic activities of her peers: swimming, biking, softball, soccer, and skiing, always alongside "able-bodied" kids. While a dean's list student at the prestigious School of Foreign Service at Georgetown University, she set her sights on making the US Team for the 1996 Atlanta Games. 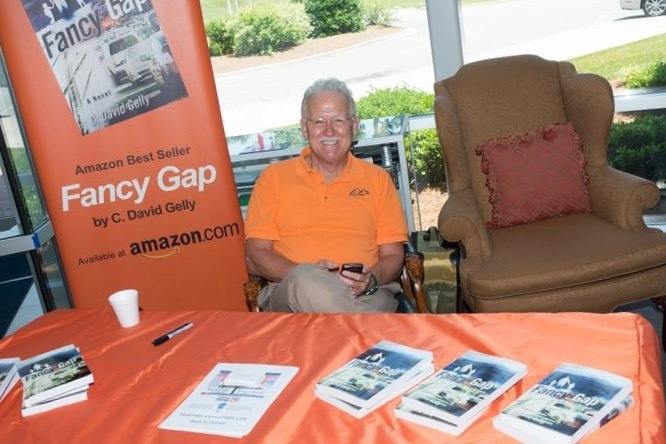 She enlisted the expertise of Frank Gagliano, one of the country's most respected track coaches. Through this partnership, she became the first woman with a "disability" to compete in the NCAA, doing so on Georgetown's nationally-ranked Division I track team. Outfitted with woven carbon-fiber prostheses that were modeled after the hind legs of a cheetah, she went on to set World Records in the 100 meter, the 200 meter, and the long jump, sparking a frenzy over the radical design of her prototype sprinting legs. In 1999, Aimee made her runway debut in London at the invitation of one of the world's most celebrated fashion designers, Alexander McQueen. Walking alongside the supermodels of the world, Aimee's groundbreaking, triumphant turn captured the attention of the fashion media, propelling her onto the magazine covers of ID and Dazed and Confused. Conquering the fashion magazine standards of Vogue, Harper's Bazaar, W, Glamour, and Elle, she was also named as one of People magazine's "50 Most Beautiful People in the World." An influential voice in today's changing youth culture, she has been named as one of Esquire's "Women We Love," one of Jane magazine's "10 Gutsiest Women," one of Sports Illustrated's "Coolest Girls in Sport," and was celebrated as the "Hottest Muse" in Rolling Stone's annual Hot List. Sarah Reinertsen is an American athlete. 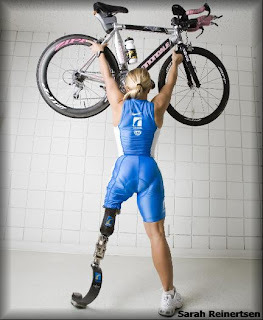 She was the first female leg amputee to complete the Ironman Triathlon World Championship in Kona, Hawaii[. She first attempted to finish the race in 2004, but was disqualified when she failed to meet the qualifying time for the bike leg by 15 minutes. She returned in 2005 and completed the race in just over 15 hours. Besides marathons and triathlons, Sarah has also competed in bicycle races. She was born with proximal femoral focal deficiency, a bone-growth disorder which eventually lead to her becoming an above-the-knee amputee at the age of seven. After the amputation, she began to run track and broke the 100-meter world record for female above-the-knee amputees at the age of 13. She was formerly the marketing coordinator for Ossur and spokesperson for the Challenged Athletes Foundation. She was featured on the cover of Runner’s World and was named one of the first eight “Heroes of Running” in the magazine. She has also appeared on the cover of Triathlete magazine and Max Sports & Fitness magazine. In 2006, she used the Ossur Total Knee 2000 and Talux Foot as she competed with her former boyfriend Peter Harsch on The Amazing Race 10. They finished the race in 7th place. A native of Huntington, New York, she now lives and trains in Orange County, California. She also works as a motivational speaker. Do you make the most of what you got?